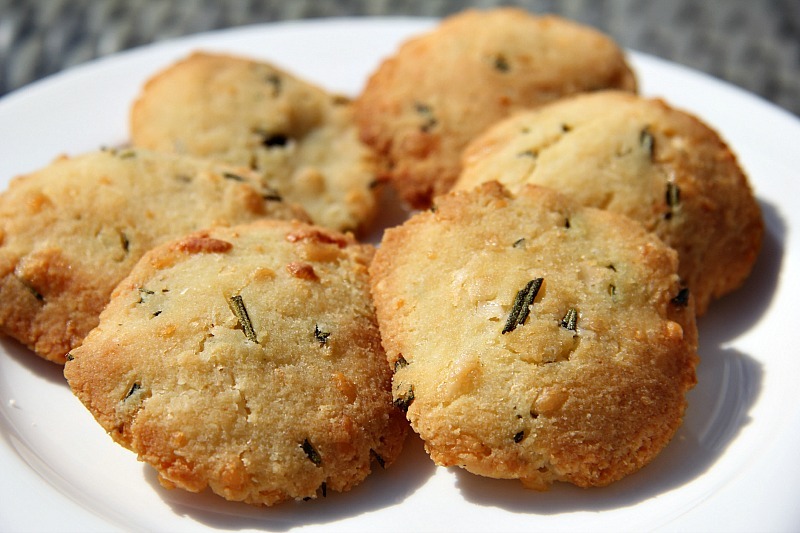 Rosemary Parmesan biscuits are baked with almond flour and make a savoury biscuit. A healthier option for those following a Low carb, Keto or gluten free diet. 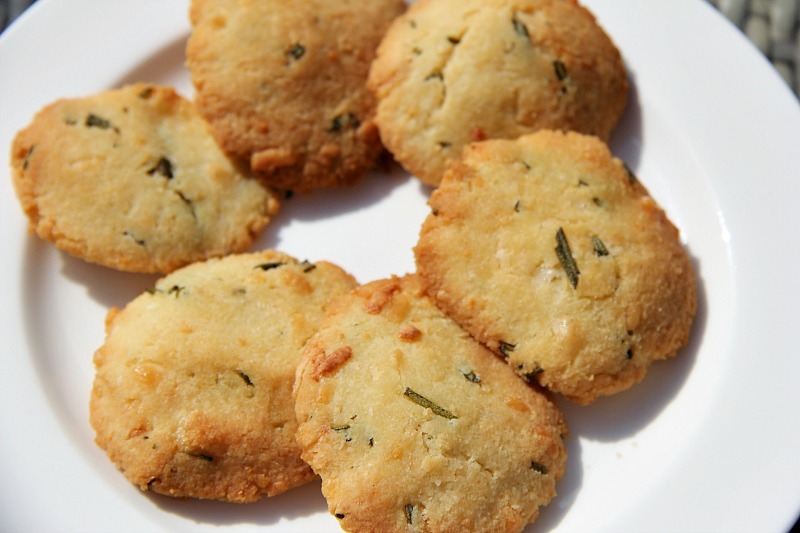 These savoury biscuits are just lovely. 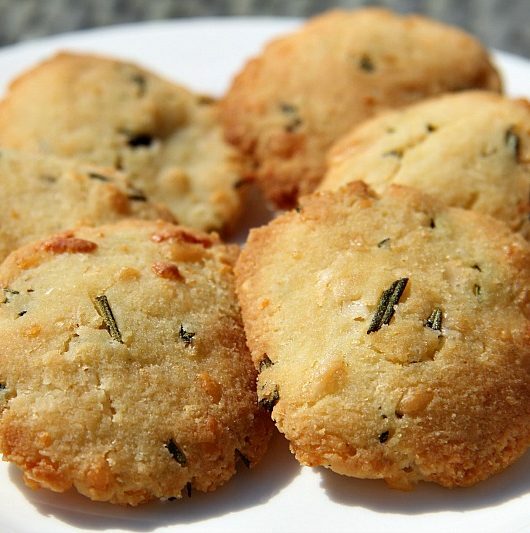 Rosemary and Parmesan are a great flavour combination and the Parmesan give this biscuit a slight chewy texture but they also melt in your mouth. You could use this biscuit mixture as a base and play around with the flavourings, but try this first as it is yummy! I use fresh rosemary but you could use dried. I would increase the amounts if using dried though. The biscuits kept well in an air tight container in the fridge too…will keep for a week happily. The Chief taster took to heating them up in the microwave and declared them delicious. Add the eggs and butter and blend well. 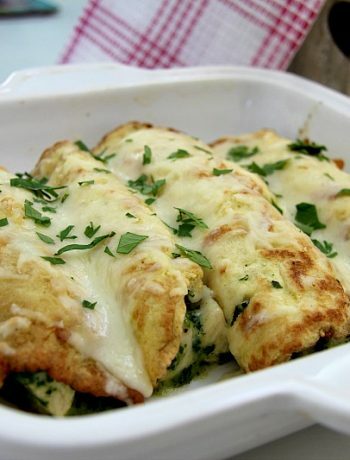 Mix in the cheese and rosemary until you have a blended dough. 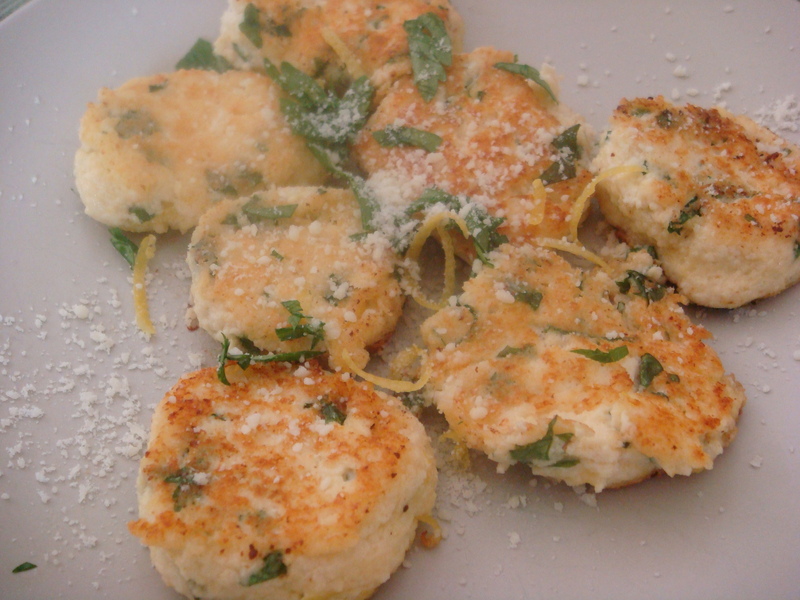 Roll small balls of the biscuit dough and place on a parchment paper lined baking tray. Flatten the biscuits with the palm of your hand. Bake for 10-12 minutes until golden brown and firm. Biscuits in the oven! However, why is my rosemary still on the counter? You left out the Rosemary when adding the flour garlic parking powder and salt. No mention of adding the Rosemary . It calls for baking powder but it isn’t in the recipe also it says to mix eggs as in plural nut the recipe only calls for one egg. I’m in the process of making these and now I’ve been stopped in my tracks because of the baking powder. Please advise. I also think these will be awesome looking forward to trying them. Ignore the baking powder and it should just be one egg. If the mixture looks too dry add another egg. I use medium sized eggs so it can vary. Thanks for the speedy reply I’m making them now. So no baking powder and one egg. Hi, you mention spice in the method but there is no spice in the ingredients? It should have been Rosomary. I was thinking about trying this with other spices as I typed! Have corrected it now thanks!